Air Miles Gift Guide The Holiday Edition is out and they are having a giveaway! Enter to win 1 of 21 prizes of 10,000 miles! They are gifting 3 collector daily! 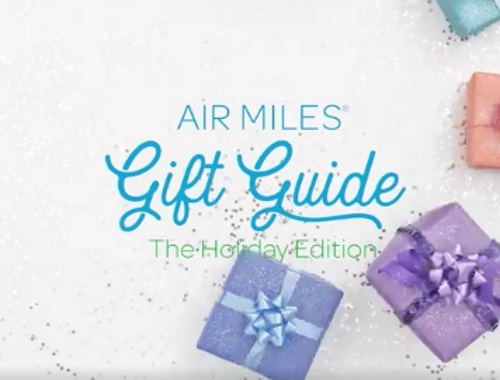 To enter, take a look at their Air Miles Holiday Edition gift guide and tell them who is on your nice list and what you'd give them from the gift guide in the linked post below. Remember to include #GiveWithMiles in your entry. Contest closes November 14, 2017.